Are you wondering if you should file for bankruptcy in Lawrenceville? If you are thinking you need to file for bankruptcy due to massive debt, or you are wondering if bankruptcy is right for you, you should talk with a representative at The Sherman Law Group. Our attorneys are knowledgeable and skilled in helping people like you turn around their financial downward spiral, get out of debt, and start fresh. With over 50 years of combined experience, we know what options are best for your specific situation. While bankruptcy is one route, there are also alternatives to bankruptcy that might be better. Why Our Firm Is Right for You! We know how stressful huge debt can be, so getting help from qualified professionals is the first step to lessening this emotional and draining circumstance. 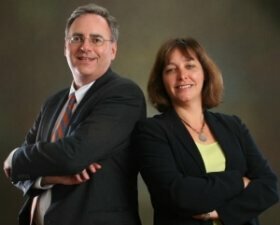 Our legal team consists of Attorney Bill Sherman, a former Assistant State Attorney General and Assistant State Attorney, and Valerie Wulff Sherman, also a former Assistant State Attorney and a Magistrate Judge. Together, they provide caring and high quality representation for our clients. We can explain how bankruptcy works, whether it's Chapter 7, Chapter 11, or Chapter 13. Other debt relief solutions include debt consolidation and debt settlement. Handling severe debt can be complicated, and we guide you through the process the whole way until it's resolved. Let us take the complexity out of your debt resolution. Being proactive is the best thing you can do, and enlisting our help will ensure that you get results. As soon as you start, we can put a halt to creditor harassment, wage garnishment, and the fear of your property being repossessed. We are confident you will find our professional, affordable services to be just what you need. Call us to schedule a free case evaluation, a brighter future is ahead of you!